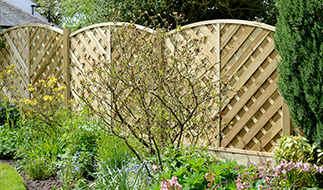 Garden Gates Direct are online suppliers of high quality, low cost hardwood garden gates. We offer you plenty of choice, plus a fast and efficient nationwide delivery service. We offer a fully personalised service, with made to measure gates and standard sizes available. We have plenty of resources available to help you measure up and get answers to your questions. Want to contact a member of the team before ordering? Call 0844 804 5577 or fill in our online form. When you shop with us, you can order directly online, paying safely and securely. If you’d rather order over the phone, simply give us a call and we will be happy to help. We have hardwood garden gates available in a variety of sizes to suit any aesthetic. 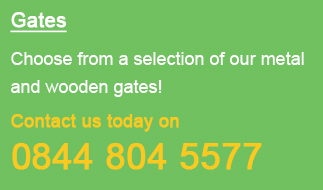 Whether you are looking for a modern or traditional appearance, we have a range of gates within your budget. We are leading retailers with a wide variety of wooden garden gates, side gates and driveway gates available to order now. Browse through our website and see what takes your fancy. Select a wooden gate from our website, order online and your product will be delivered straight to you, usually within 10-14 working days. We pride ourselves on offering excellent customer service, answering all your questions and making sure your products arrive with you quickly and efficiently. If there’s anything else you need to know about our hardwood garden gates, just let us know. Call 0844 804 5577 or fill in our online enquiry form.